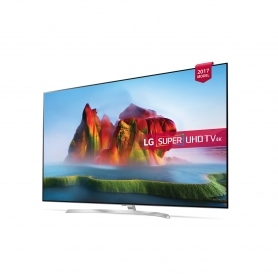 Part of LG’s line of SUHD TVs, the 65SJ950V has a modern silver finish and near-borderless design. 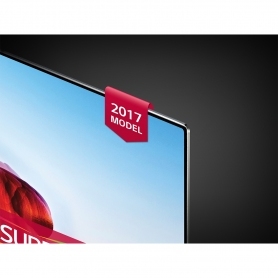 For improved detail and a wider spectrum of colours than other UHD TVs, this model’s screen features a Nano Cell Display panel. This LG TV also supports HDR10, HLG and Dolby Vision, so you can enjoy premium content from a range of formats. Composed of nano particles, the 65SJ950V’s display panel can produce a range of over one billion colours. These nano cells also absorb light as it hits the screen, to prevent colour fade and ensure a vivid picture, night and day. Get bold, true-to-life colour, even when viewing the screen from an angle, with this cutting-edge display. Smart Picture Mode – When active, this feature scans the genre of your content and tailors picture settings accordingly. Add atmosphere to your action films, horror shows and more. Ultra Luminance – Directs excess currents from dark areas of the screen to light ones. Enjoy sharper contrast and improved detail across all of your content. HDR Effect – Take content from non-HDR to near-HDR. This feature enhances the colour, contrast and saturation of your films and shows to make them look as close to HDR quality as possible. 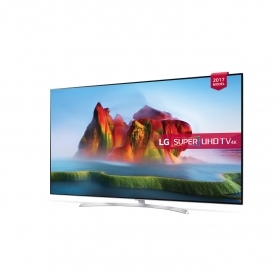 Ensure that everything you watch looks its very best with this LG SUHD TV. Sounding as good as it looks, the 65SJ950V features a 40 W sound output that has been designed in collaboration with Harman/Kardon. Ultra Surround Sound means this model can use its 2.2 channel speaker to generate seven virtual audio channels. Enjoy a fully immersive soundscape with this clever feature from LG. 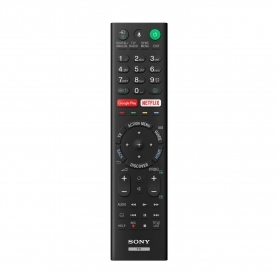 Freeview HD and Freesat HD packages come with this Smart TV, giving you access to 200+ TV and radio channels. Pause, record and rewind live TV, or use catch-up services such as iPlayer, All 4 and ITV Hub, for on-demand viewing. WebOS keeps your features, settings and content laid out neatly, so you can find what you’re looking for quickly and easily. You can even use Netflix and YouTube apps, for limitless online content. LG’s own ‘Channel Plus’ app gives you 70+ more Internet channels to choose from, including TIME, Sports Illustrated and People. 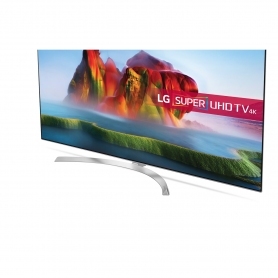 Four HDMI ports on this LG SUHD TV give you ample room to connect your home devices – no more switching and swapping cables at the back of your TV, just plug in and play. 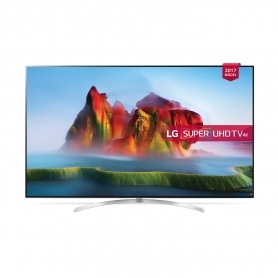 With an energy efficiency rating of ‘A’, the 65SJ950V could cost you less to run than other UHD TVs with such powerful processing. Enjoy new levels of picture quality without burning a hole in your pocket. A crescent stand comes with this model, providing stylish support for your screen. 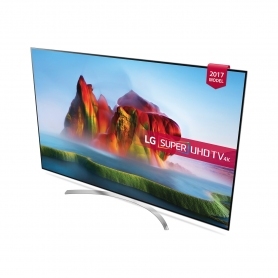 With an advanced Nano Cell Display and LG picture-boosting features, see what difference the 65SJ950V could make to your favourite shows. Order today.